There will never be a Zack Snyder cut of Justice League because his version of the movie never made it off the page. This info comes from Snyder directly, who reveals that his original script for the movie was never even shot. Not only that, but the director has shared some of his plans beyond Justice League that were laid to waste and, to put it mildly, they're quite dark. Zack Snyder recently held charity screenings for three different director's cuts of his movies. One of them was Batman v Superman: Dawn of Justice, a movie as divisive as ever and the one that made it so his version of Justice League was never going to happen. At one point during a Q&A after the screening, Snyder was asked point plant, "What the hell happened?" To which, Snyder had this to say. "That's a good question. When this movie came out, understand that Chris Terrio and I had finished the script to Justice League before BvS came out. Some people didn't like the movie. A vocal minority. So they said 'there's a lot of stuff we don't want you to do' so we did a rewrite from that script. The original Justice League that Chris and I wrote, we didn't even shoot... The actual idea, the hard, hard idea, the scary idea, we never filmed because the studio was like 'That's crazy.' It's a long story." Many fans have been calling for the "Snyder Cut" ever since the theatrical cut, which was largely a product of what Joss Whedon did in rewrites/reshoots. However, it's clear now, if it wasn't already, that such a cut doesn't exist. Unfortunately, he didn't dig into what this "scary idea" was. 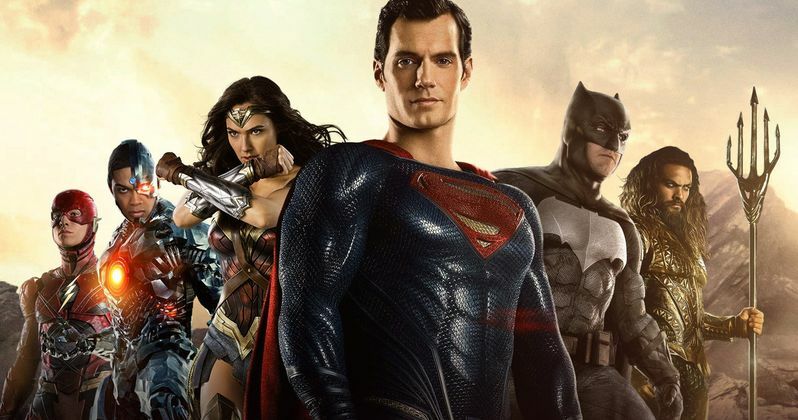 Speaking a bit further, Zack Snyder talked about some of his vision for Justice League and its sequel that never happened. First off, he explained that that famed Knightmare sequence would have eventually paid off in his sequel. "The truth is that, the Knightmare sequence in this movie was always my idea that all of that would eventually be explained ... and that we would end up in the distant future, where Darkseid has taken over Earth and where Superman has succumbed to the Anti-Life [Equation] ... There was a few members of the Justice League that had survived in that world, that they were fighting. Batman broke a pact with Cyborg because something happened... They were working on an equation to jump Flash back to tell Bruce..."
So we've got a very dark future with a killer Superman and Cyborg and Batman trying to send Flash back in time? That would at least explain that whole bit with Flash appearing before Bruce Wayne, which never really paid off. Furthermore, Zack Snyder discussed a post-credit scene that was cut from Justice League, which would have set things up for the future. "The Justice League teaser that wasn't in the movie, apparently, I guess, where Wonder Woman says, it's this line where Bruce says 'I was right here when Barry Allen came to me and he said Lois Lane is the key,' and she says 'She is, to Superman. Every heart has one.' And he goes, 'I think it's something more, something darker.' If Superman knew that somehow it was Bruce's responsibility to protect Lois, he would have been mad at him in [Batman v Superman]. So that's why he says 'She was my world, and you took her from me.'" Ultimately, had Zack Snyder got to flesh his story out all the way, in Justice League 2, Darkseid would have killed Lois Lane in the Batcave, thus, turning Superman evil, as we see in the Knightmare sequence. The remaining heroes would have tried to fix everything by having Flash travel back in time. Snyder didn't flesh everything out, per those who were at the Q&A, but what he did reveal sounds ambitious, convoluted, and incredibly different than what we ended up with. This news was previously reported by Comicbook.com.